Welcome!!! The World Of Cool Costmization Softwares ! 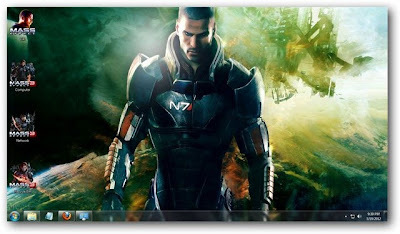 Mass Effect 3 1.1 Theme for Windows 7 Mass Effect is a famous science fiction action role-playing shooter video game series that was released for multiple game devices, such as Xbox 360, PlayStation 3, Wii and Windows. Mass Effect 3 Theme is a pack of images created with the 2012 installment in mind. The program has a simple interface that is very easy to use by all users. The theme includes nearly thirty high-quality wallpapers that depict various important characters from the game, but also the series’ logo. You can view these images by accessing the Windows Desktop Background menu and choosing the theme. If you want to exclude any of these from the rotation, you should simply clear the checkboxes next to the thumbnails. Also, randomizing the order of the images is also quite easy, as you simply need to enable the “Shuffle” option from the interface. The way the wallpapers fit to the screen can be modified as well to one of the options provided by Windows, such as “Stretch”, “Fit”, “Fill”, “Center” and “Tile”. However, the quality of the images shouldn’t suffer in the process, thanks to their high resolution. 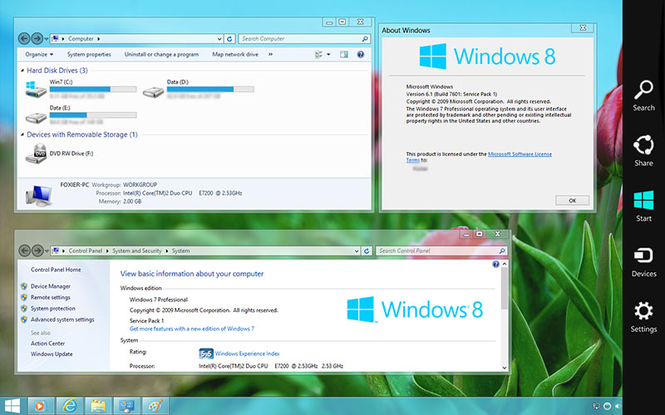 Windows 8 Transformation Pack 7.0 will transform your Windows 7, Vista,XP user interface to Windows 8. Including Windows 8 Boot Screen, Login Screen, Themes, Wallpapers, Icons, Sounds, Fonts, Metro UI, Aeros Auto-Colorization, Taskbar UserTile and more. Seamless installation and uninstallation giving users safe transformation. Easily configurable in single click with intelligence Metro UI design. Designed for all editions of Windows XP/Vista/7 including Server Editions. Genuine Windows 8 system resources with Metro touches. Smart system files updating with auto-repair and Windows Update friendly. 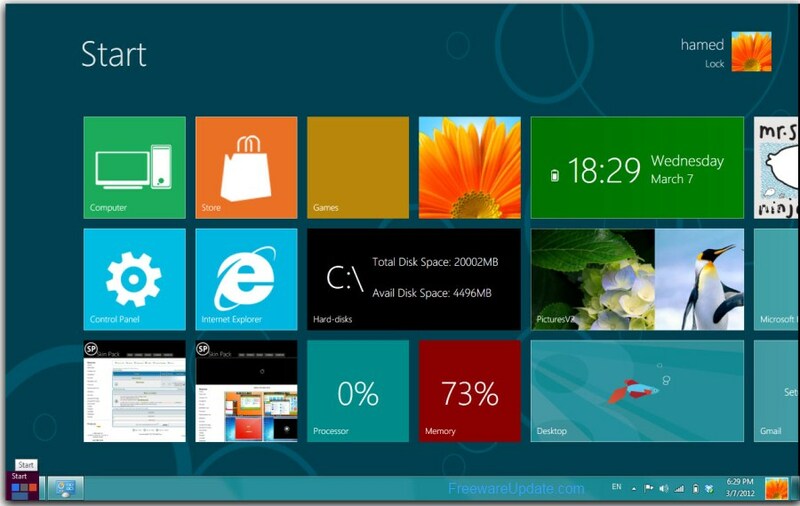 Fresh start for Vista/Seven Transformation Pack users with updated Windows 8 themes and resources. Windows 8 themes, wallpaper and logon screen. UserTile with current user auto-configured on login. Metro UI desktop emulation with pre-configured gadgets. Drive Icon Changer is a handy and reliable application designed to replace the default Windows icons for drives with custom ones. The reset button allows you to revert the changes. U can Add Any Cool Icons To Ur Drive...Soo Lets Download N Enjooyy!!!!!!! Photo To Pencil Sketch(Full Version) Free Download!!!! CopyRight © . Picture Window theme. Powered by Blogger.